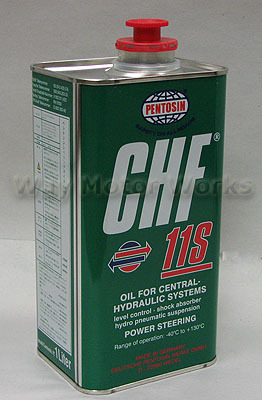 Pentosin CHF 11s hydraulic oil for power steering on MINI and BMW cars. If your doing any steering system work on your MINI or BMW you'll need this fluid to refill the system. Comes in 1 liter can as shown in picture.